Droning On – As I write, our departmental UAV has just returned from fieldwork in Cambodia, mapping landforms peripheral to the the Mekong River. See the Stellar website for more info on that project! In this post I’ll explain what the state of the art of civilian survey UAV’s (“drones”) looks like, how UAV technology is changing the way we go about acquiring geospatial data, and what the specific requirements of our research means for the design and use of this technology. The Birds – There are a number of systems on the market, some from established survey companies such as Trimble, but the majority from start-ups based in Europe and North America; they can be broadly split into fixed and rotary wing types. The payloads are usually visible-light or multi-spectral imaging equipment, but there is no reason why other instrumentation couldn’t be fitted. Our solution is the QuestUAV200, which acquires plan-view imagery. The systems are capable of autonomous flight, following a pre-programmed route and making corrections to stay on course, using on-board GPS, pressure, speed and inertia sensors. Take-off and approach are also often automated, with take-off usually by way of sling-shot. The final landing phase is commonly semi-automatic but controlled by the pilot – this manual control can be taken at any point in flight. 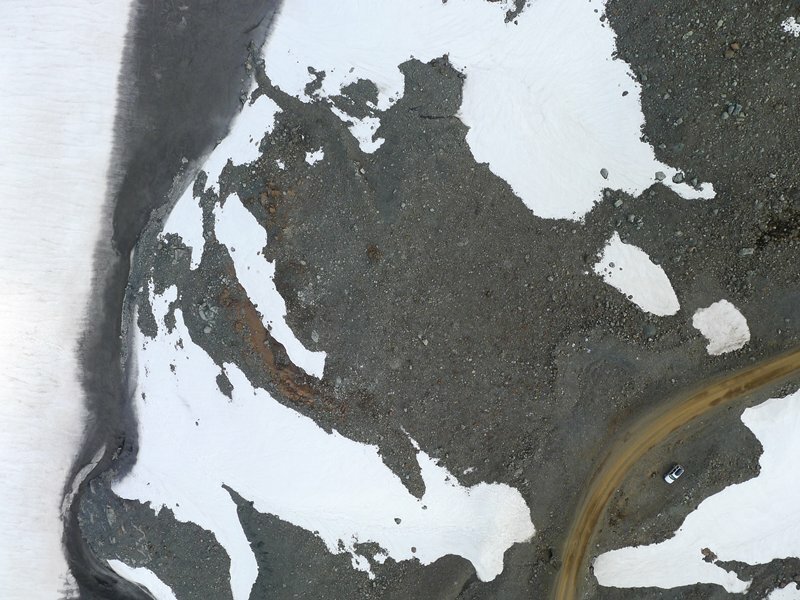 Telemetry is almost ubiquitous, with a tablet or laptop displaying positional and sensor data, although these systems do not have the bandwidth to display real-time imagery. Smile For The Camera! – Before UAV solutions, aerial imagery was available from two sources – manned flight or satellite missions. Manned flights are expensive and logistically difficult to fly often – satellite data can have good temporal resolution but poor spatial resolution. By using UAV’s we can acquire data that is both spatially and temporally more detailed than either of these sources. In addition the ability to provide overlapping and oblique imagery aids the production of detailed digital elevation models. However, this is all at the cost of coverage – the legal restrictions on flight distance means coverage of each flight is restricted to about 1.2 square kilometres. Brace for Impact – Our research has led us to deploy our UAV in Iceland and Cambodia, where using complicated, delicate kit in extreme or remote environments offers some unique challenges. We require equipment that is either very robust (difficult to achieve for a UAV!) or easy to service in the field. The QuestUAV has an airframe that can easily be repaired in the field, and a protective cover that protects the camera when landing in a snowfield or rice paddy. The system is also entirely battery powered, and the running time for the system can be expanded with the purchase of additional aircraft, laptop and camera batteries. 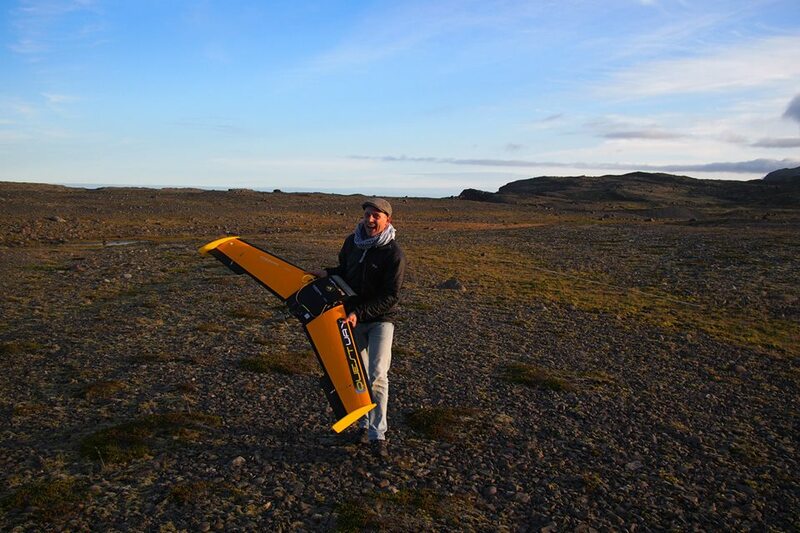 In summer 2013 flights were made in Iceland to survey part of a glacier and the associated foreland. The resulting DEM’s and associated imagery have allowed for very detailed geomorphological mapping. The DEM’s of the glacier itself will be used as part of a long term glacier velocity mapping project. The system has applications throughout physical geography fieldwork, including data collection on peat bogs, rivers, glaciers, lake catchments, and archaeological sites.